All from Neatorama and I thought cool enough to share. 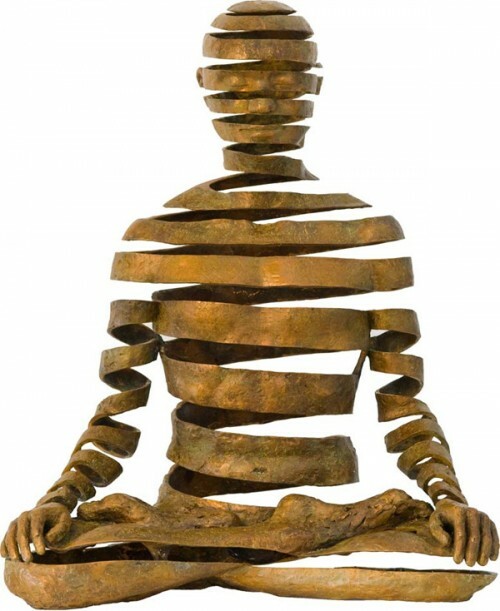 This is a sculpture called Appearance/Emptiness. Neatorama calls it a Ribbon Man, which is begging to be some kind of serene, freaky monster. 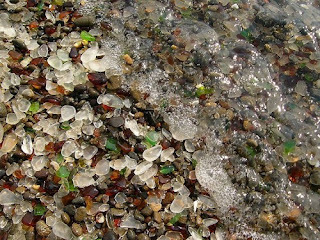 What happens when you dump broken glass on a beach for decades? Glass Beach. I think this would be a cool feature to have on an island close to a sunken megalopolis. Or maybe the cliff above this bit of shoreline has housed generations of alchemists. Finally, nothing befits a Vampire Empress than diamond eyes. On my surf trip last summer I stopped by Glass Beach. It wasn't far from a really great river mouth that was thankfully devoid of Mr. Whitey. That Ribbon Man would be an awesome monster. Yes, what would yours do? I'm thinking either entwining or taking many different shapes.